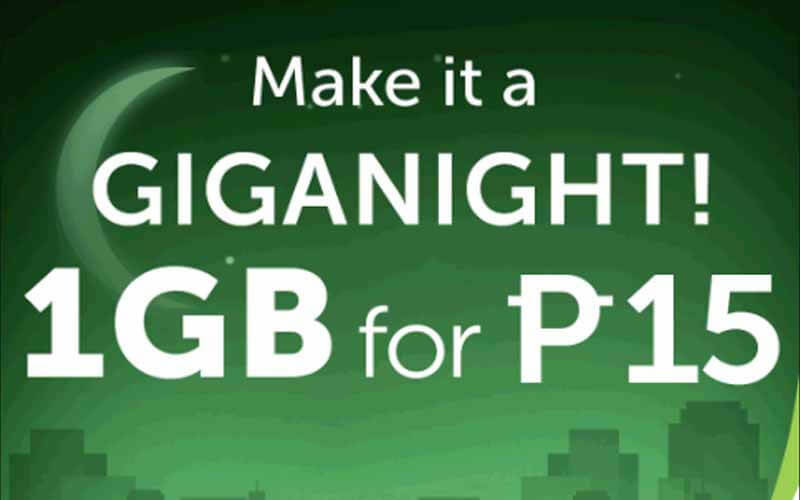 Smart’s latest internet promo gives you 1GB data for only 15 pesos when you subscribe to their GIGANIGHT offer. You can download your favorite movies and update all your applications without hurting your budget using the allocated one gigabyte of data from GN15 promo. This is more affordable than spending 50 pesos for a SurfMax promo that only gives you 800MB per day. The Smart Giga Night promo is usable only after midnight starting 1:00 AM to 6:00 AM in the early morning. During this time window you can start browsing using your mobile phone, tablet and Pocket Wi-Fi to utilize the 1GB data. This promo is available to all Smart prepaid and Smart Bro users, all you have to do is text GN15 to subscribe. Reload your account with 15 pesos, text the correct keyword or code, then wait for the confirmation message before you start using Giga Night promo. Though it has 3 days validity, the GIGASURF cost you 50 pesos for only 1GB data while Giga Night is P15 also with 1GB. You can register and extend up to 3 days internet promo using GN15 for only 45 pesos, you’ll save your money and get more data allowance. 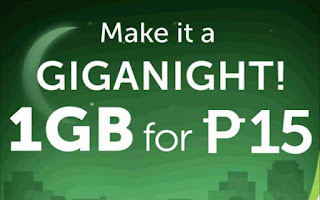 The only factor with Giga Night promo is the validity time, but if you want to more data this has a huge advantage the other Smart internet offers. With the given off-peak time when majority of internet users are offline, you’ll surely experience fast internet speed while browsing and downloading. Just make sure you have good signal reception and set your preferred mobile network to LTE, WCDM, HSPA or H+ instead of GSM only. is it ok to register it 4 times in a time. i mean the gn 15?